Holy Week (or Semana Santa or Mahal na Araw) is upon us once again. One of the activities Catholics do during Maundy Thursday is Visita Iglesia, also known as The Seven Churches Visitation. We go on a church pilgrimage and visit 7 Christian sites or parishes. The Metropolitan Cathedral of San Fernando, formerly Cathedral of Our Lady of the Assumption, is a neo-classical church in the provincial capital of Pampanga. Metropolitan Cathedral was founded in 1754 by the Augustinians. The historical church was restored through the initiatives of Fernando Hizon Ocampo, a Kapampangan architect, after the stone church was burned by the Philippine Revolutionary Army on May 5, 1899 on orders of Gen. Antonio Luna. It was formally established as Metropolitan Cathedral on October 1, 1981 under the titularship of St. Ferdinand and Patronage of Our Lady of the Assumption. San Guillermo Parish Church is named after San Guillermo, the patron saint of Bacolor. It is now half-buried due to lahar in early 1990’s. The church was originally constructed by the Augustinian Friars in 1576. St. James the Apostle Parish Church (commonly known as Betis Church) is a Baroque-style church located in the Betis District in Guagua. It was built in the 17th century, but it was in 1770 when it was finally rebuilt using concrete materials. 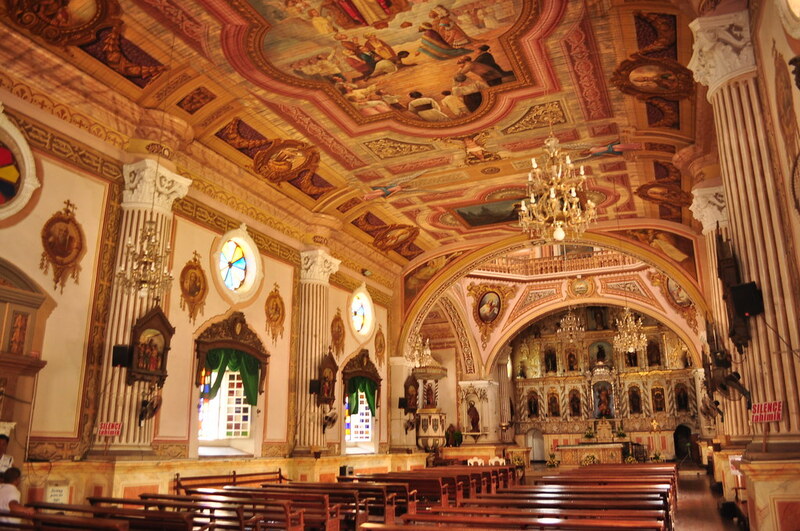 Dubbed as the “Sistine Chapel of the Philippines,” Betis Church was declared a National Cultural Treasure by the National Museum and the National Commission for Culture and the Arts. The San Agustin parish church, also known as the Lubao Church, was declared as an Important Cultural Property by the National Museum. The church was built in 1572 by Augustinian friars originally in Brgy. Sta. Catalina. 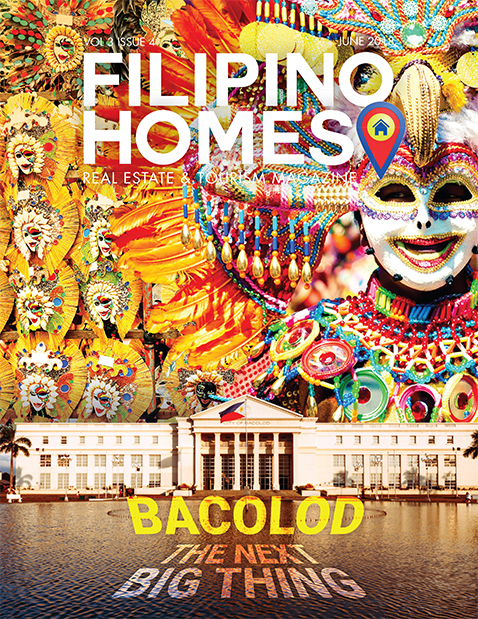 It was then transferred to San Nicolas I in 1602, due to continuous floods that swept Sta. Catalina. Sta. Rita de Cascia Parish Church is a heritage baroque church founded in 1726. Fr. Francisco Royo built the present church in 1839; Fr. Juan Merino completed it in 1868. These two priests also opened the road linking Sta. Rita with Porac and Guagua. “Polo” or forced labor, which was legal at that time, was used to expedite the construction. The Santa Catalina de Alejandria Parish Church, also known as the Porac Church, is a 19th-century Baroque church in Poblacion, Porac. Its simple facade is adorned by Corinthian columns of its first and second levels, iron grills on the windows, the Augustinian emblem on the triangular pediment and rectangular pilasters. The main focal point of its exterior is the rose window bearing an image of Saint Catherine of Alexandria rendered on stained glass. The Holy Rosary Parish, formerly known as Santo Rosario Church and fondly called by Kapampangans as “Pisambang Maragul,” which literally translates to “Big Church,” stands in the heart of Angeles. From chapel made of bamboo, wood and nipa roof that founders Don Angel Pantaleon de Miranda and Doña Rosalia de Jesus built in what was then Barrio Culiat of San Fernando town, the church has evolved into a strong, crucifix-shaped Byzantine structure with two bell towers. Holy Rosary Parish Church Angeles, Philippines, was constructed from 1877 to 1896 by the “Polo y Servicio” labor system, a kind of forced labor imposed on Filipino peasants by the Spanish colonial government. The church has been recognized by the National Commission for Culture and the Arts as a national historical site.